This set includes one building sub-base (A) two boardwalk step ups, one double step up, one short boardwalk ‘A’ and one short boardwalk ‘B’. 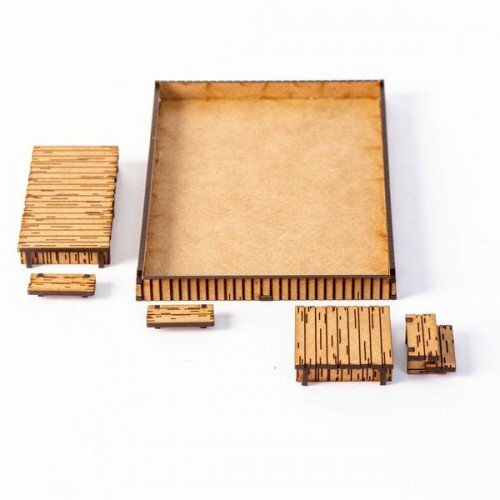 These boardwalk sections fit around any sub-base in this range and extra sub-bases enable you to fix the foot print of buildings to a gaming board and have the option to alter which buildings are where on different gaming tables. Some of the buildings in this range come without sub-bases and boardwalks this add-on enables them to be raised up to the boardwalk level.